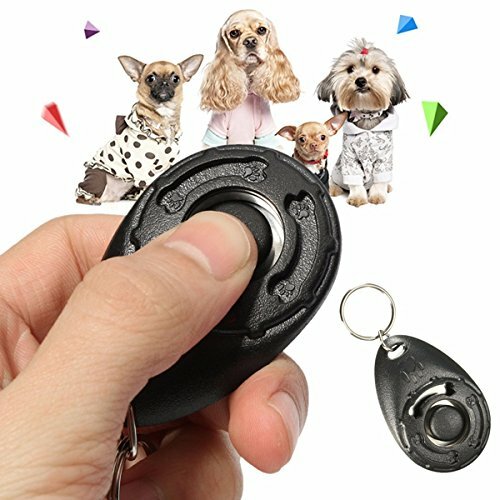 Description:Black Pet Dog Puppy Click Clicker Training Trainer Obedience Aid Teaching ToolIdeal for puppies and dogs of all ages, this training clicker is the fun and easy way to train your canine friend. It has been designed for training your pet safely and easily so you can shape and reward positive behaviour.The ergonomic design of the training clicker is easy to hold and press, and the raised button prevents missed clicks. The sound of this clicker is distinct and clear, and it can be heard from a distance.Increases communication and improves behaviour. If you have any questions about this product by DOM, contact us by completing and submitting the form below. If you are looking for a specif part number, please include it with your message.